Matt Pfeffer had a one-year contract as an analytics consultant for the Montreal Canadiens, and the team reportedly informed him Wednesday that it wouldn’t be renewed for the upcoming season. According to one report, Pfeffer had strongly argued not to trade defenseman P.K. 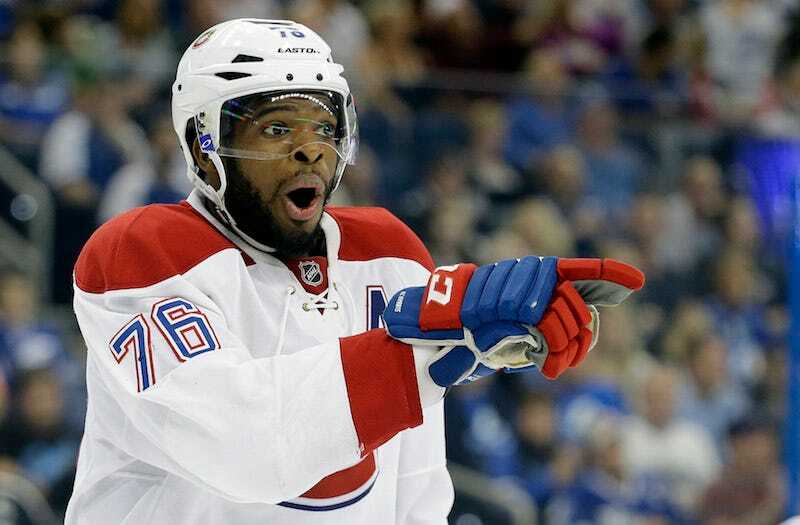 Subban, and lost more than that battle. A source told Sportsnet that Matt Pfeffer, who was hired as an analytics consultant at the beginning of the 2015-16 season, made an impassioned and elaborate presentation to management to dissuade them from following through on this trade. Ignoring Pfeffer’s advice only served to reinforce the notion that [general manager Marc] Bergevin was following different criteria in his evaluation of both players, said the source, who also suggested Pfeffer’s vehemence on the matter might have ultimately cost him the job (he was told on Wednesday that his contract won’t be renewed). The Canadiens would not comment on why they aren’t renewing his contract, but they did say that they are looking into other analytics solutions. Of course, Bergevin got his way and traded Subban to the Predators for Shea Weber, because Bergevin’s in charge and Pfeffer’s just a consultant. Even without a game being played, the prevailing opinion is that Nashville committed robbery. Bergevin better hope that’s wrong, because he put a lot on the line for this.